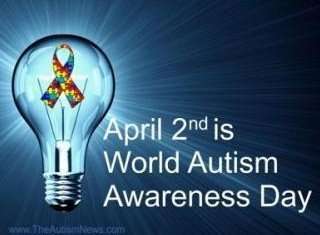 Just over six months ago, the Canadian government passed a Bill to officially recognize today, April 2, as World Autism Awareness Day in Canada. In 2007, the United Nationsl General Assembly made a similar declaration. So if you see buildings lit up in blue or symbols like a puzzle piece prominently displayed today, you will know why. People from all walks of life are joining forces today to open minds and hearts. To create a greater understanding of a condition that new statistics show will affect 1 in 50 children. Hollywood celebrities, professional athletes, politicians and people you don't know, your next door neighbour and millions of others around the world are among those affected by autism. While the debate rages on about causes of this condition, and as scientists and research groups work feverishly to pinpoint an accurate reason why — millions of parents, families and children soldier on. I was privileged to get a raw glimpse into the life of a family coping with autism recently during an interview with Bruce McIntosh, a father of an autistic 13-year-old boy. What a typical day is like, what support he and his wife and daughter require, how intelligent and witty his son Cliff is, the personal, financial, emotional and social burdens that the family has had to persevere through while seeking support, how they are desperately trying to have a crisis centre developed for families like them, and how they hope and pray the government listens to their pleas. It is a sobering, heart-wrenching account of what it is like to live with autism. There are many things I hope for today and every day on this subject, but one in particular: that at the same time that World Autism Awareness Day increases understanding, that it first and foremost crush judgement. Judging a child who may not be communicative. Judging a parent of a child who may not be communicative. Listen to their stories, read about their lives, lend a hand of support, open your mind to understanding their reality. Dispel the myths and rumours, crush your need to judge when you haven't walked in their shoes. These families have strength beyond most of our understanding. They are advocates for their children. They need all our support. Period.